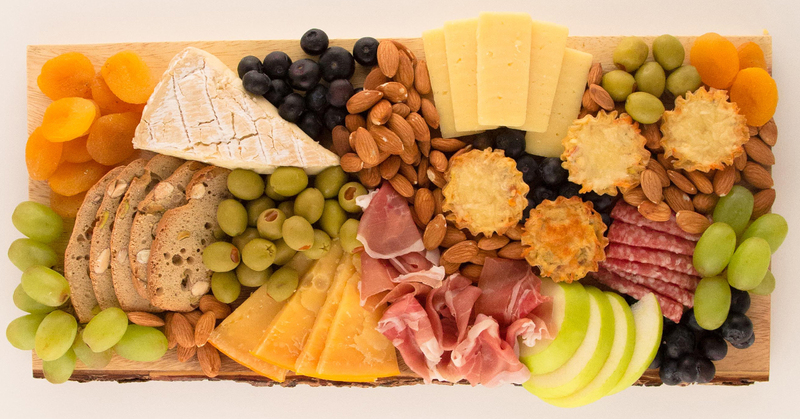 In our humble opinion, cheeseboards are THE BEST. They involve cheese, for one, and cheese is always a good idea. Even better, they come together fast, feed a crowd and require next-to-no time in the kitchen. For a snack that looks as good as it tastes, here are our favorite tips and tricks. With a little guidance and a little phyllo, you can assemble a tray of cheese, meat and fresh fruit so hearty it doubles as dinner. A wedge of something hard. A hunk of something creamy. And a heaping mound of the good stuff from the deli case (prosciutto, salami or capocollo are all solid options). These will anchor your platter. For a balanced board, pair one soft cheese — like Roquefort, brie, or camembert — with a harder offering — like parmesan, aged cheddar, gouda or manchego. Variety is the spice of life! Fresh fruit offsets the richness of all that cheese and Italian meat. Drape a few small bunches of grapes around the food already on your board, and then scatter a handful of blueberries to fill in remaining empty space. Something dried. Something savory. Olives create a briny contrast to dried apricots and raw almonds. You’ll also want a cracker or two. Want to go above and beyond? 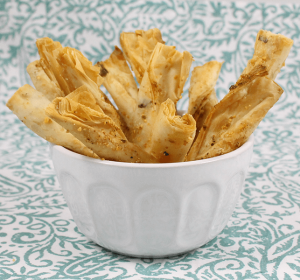 Pop a batch of honeyed pistachio phyllo breadsticks into your toaster-oven. To take your platter from average to “Wow, you really made all this! ?,” pick up some pre-made, ready-to-serve Athens Phyllo shells and hummus or a spreadable cheese like Alouette garlic and herb. Open, fill and place. 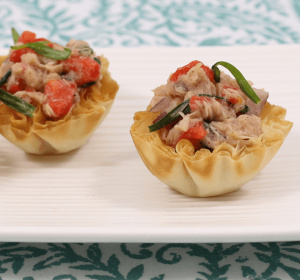 Take it a step further by adding a few tartlets to the mix like these sundried tomato and artichoke mini quiche shellsfor a rich treat, or go light with these roasted red pepper tuna mini shells. 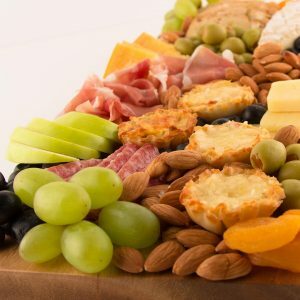 With a few basic ingredients and a little know-how, you have everything you need to create a snack platter that’s as easy as it is sophisticated. Find more cooking inspiration on our recipe page and our Pinterest profile!